Set in the week of Princess Diana’s sudden death in 1997, this docudrama explores the Royal Family’s cold response to the public’s mourning and contrasts it with newly elected Tony Blair’s modern and savvy reaction. The drama between the two is enthralling, but the tension in the film is stoked by its frequent cuts to poignant video clips and still photos of Diana. These clips help us appreciate the British mourning public and press’ anger at the Royals’ icy response. Initially, the Queen is imperious, tight-lipped and tradition bound. She refuses Diana a state funeral, fails to leave Balmoral Castle or make any public tribute to Diana. She is persistently coaxed by Tony Blair, skillfully played by Michael Sheen, to show some public signs of bereavement. 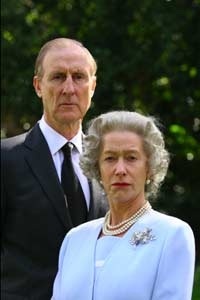 We watch the Queen finally and sadly recognize that she is out of touch with her people, and perhaps, with herself. As she shows some humanity, we begin to understand her reliance on royal tradition and need for privacy. Helen Mirren is superb in her embodiment of the Queen’s regal and aloof manner, her stoic sense of duty, and in the end, by her subtle display of emotion.